I have been trying to introduce more vegetables in our diet so I’m always on the look out for new and exciting recipes. 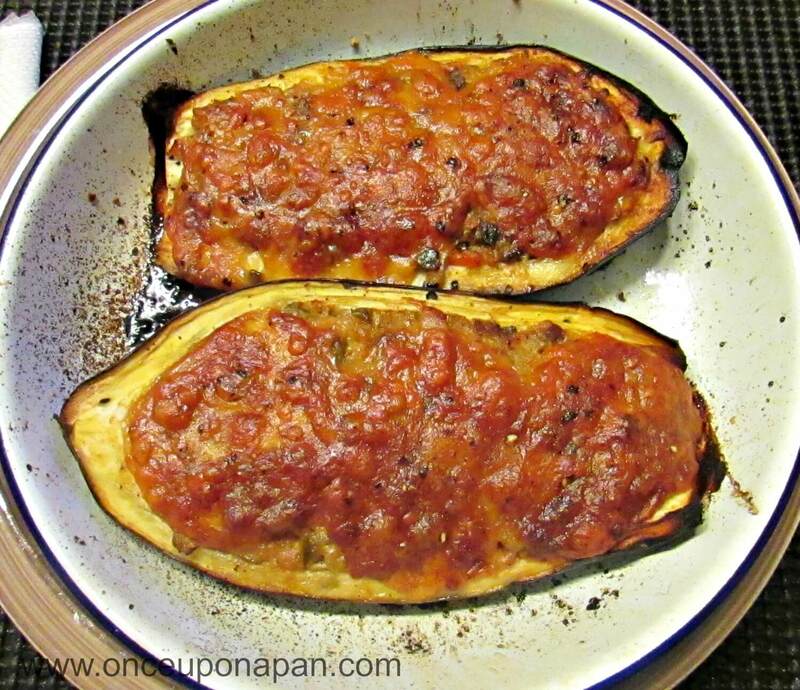 Like these stuffed aubergines 🙂 I always liked aubergines but never really cooked it much. It was always something I would have when dinning out but never at home. I’m not even sure why as my parents also like it. Maybe because it’s not a vegetable that we grown in our land? I’m not sure but I like it and I’m using more and more in my recipes. Drizzle the inside and the core of the aubergine with lemon juice so it doesn't oxide. Cut the aubergine core into small squares. Chop the onion and garlic and sauté for 1 min in the olive oil. Add the mushrooms and the aubergine squares. Cook for a little. Season with salt and pepper and let it cook. At the end add the parsley and oregano.